Comfort Plus Services has years of experience providing installation and repair of heating and air conditioning systems as well as indoor air quality (IAQ) solutions for all of the Delmarva Peninsula. We are a Carrier® Factory Authorized Dealer and trained service company for heating and cooling equipment. Always be the Trusted Professional in the eyes of the customer, your co-worker, and the company. It’s okay to have fun at work. Be the “Trusted Source for HVAC” in the Communities we Serve! Our team provides quality customer service and strives to be fair, honest, and upfront in everything we do including our hiring process. 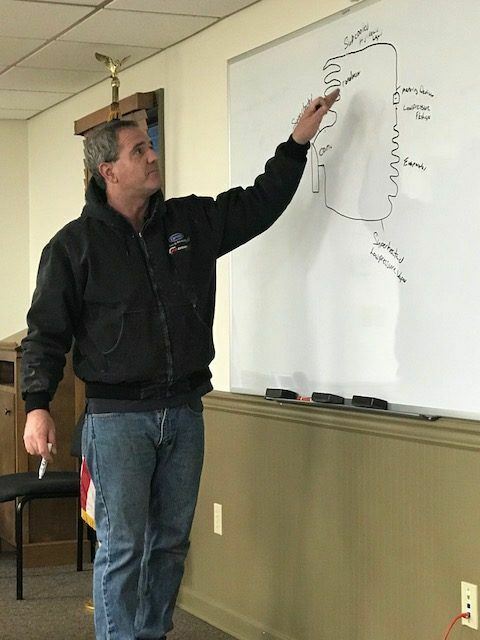 In addition to the standard HVAC technical training a majority of our technicians are also NATE-certified and have passed extensive exams to prove their technical skills. 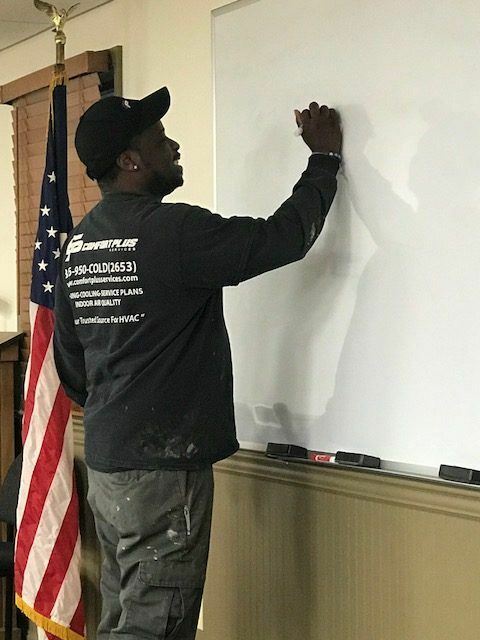 During employment, our technicians are required to attend over 40 hours of training per year to maintain their skills and knowledge, ensuring our customers are receiving top-notch service. 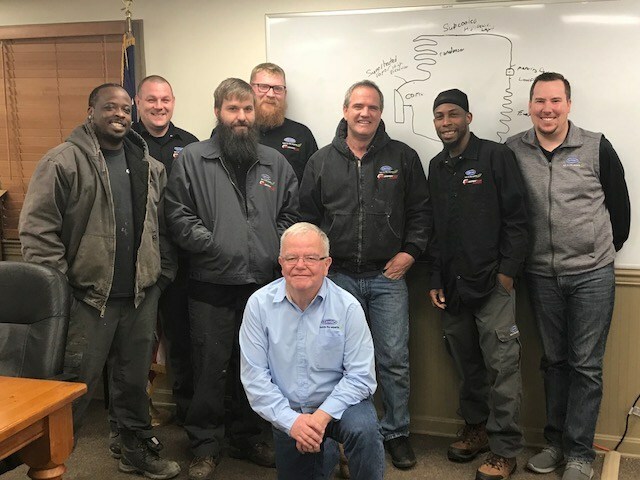 Every Tuesday early in the morning these guys get together for an hour of training and learning so they can provide the best installation of your new HVAC System. William Bratten uses his twenty plus years of experience to lead his team to provide exceptional customer experiences. We are a licensed and insured owner operated company. All our work is 100% guaranteed for your total satisfaction. Service plan appointments are scheduled at your convenience. We also offer 24 hour emergency and holiday service. Our trucks are digitally dispatched and will make it to your neighborhood in a prompt manner. We pride ourselves on honesty and high quality service to create and strengthen our relationships with our customers. Our strength is in our superior standards and fully trained HVAC service team of professionals, motivated to achieve excellence through their work with the goal to create a completely satisfied service experience for all our customers. Our Technician Eddie was nominated by his fellow employees to be recognized for providing superior service to his customers along with being TEAM focused. The recognition is to honor the overall contributions to the Company, Coworker, and the Customer. Eddie Chester has proven to be a consistent superior in these areas through offering solutions and diagnosing present and possible future problems for his customers. These diagnoses were provided in a highly ethical way, and he shows he truly cares about their home comfort needs. By a very thorough “work completed” description, this has offered his fellow employees and the homeowner information that can be critical for a complete understanding. Eddie Chester has proven to be a “True Professional,” and it is an honor for everyone at Comfort Plus Services to work alongside him. 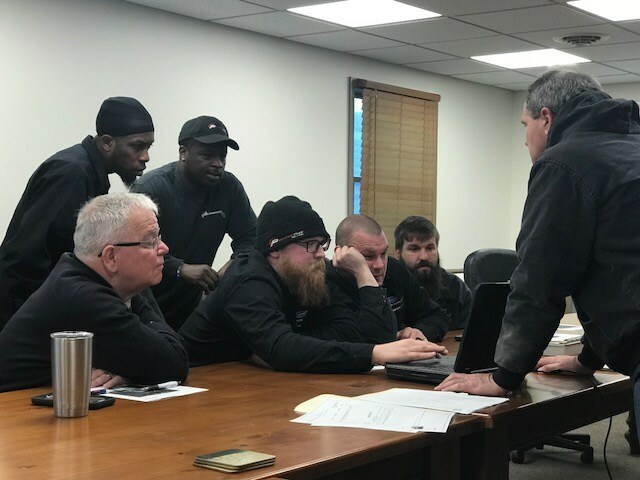 Our service team receives annual training in every aspect of heating and cooling – from installation and parts to maintenance and repairs. We use only reliable, trustworthy parts to ensure your system is repaired to its original condition. Our company maintains all required licenses, insurance, and liability coverage. We also fulfill warranty obligations of most brands. We are certified by the Environmental Protection Agency (EPA) for proper refrigerant handling and residential HVAC. We are knowledgeable, passionate, and driven by integrity. We back all these claims up with a 100% satisfaction guarantee.